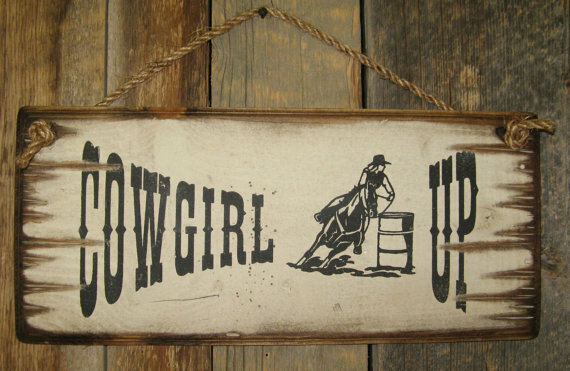 Cowgirl Up! 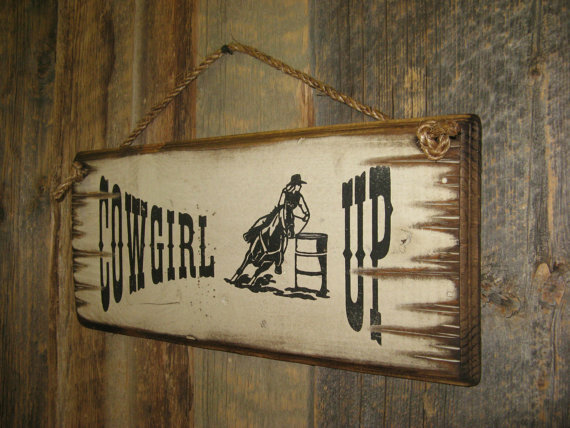 Sometimes you have to just put on your big girl britches and COWGIRL UP! 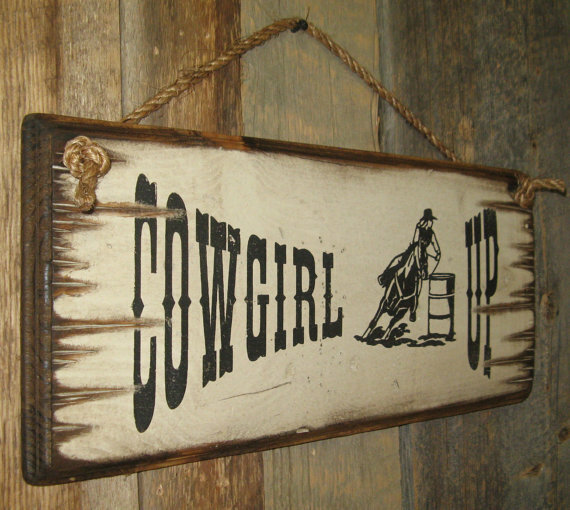 This white background sign measures 8×18 and comes with the grass rope hanger for easy hanging. Handcrafted with pride!